Do Ghosts Have To Be Supernatural? When someone tells me that they believe in ghosts, I always assume that they are confessing to a belief in the supernatural. While I realize that one can be an atheist while believing in all sorts of supernatural beings other than gods, I still find myself surprised by the atheists who believe in ghosts. Of course, not all of those who report believing in ghosts would agree with my view that ghosts imply something supernatural. For some, ghosts are made up of some sort of energy which is not necessarily supernatural. I suspect those who make such claims have watched too many of those ghost hunter shows, but I suppose that is their choice. 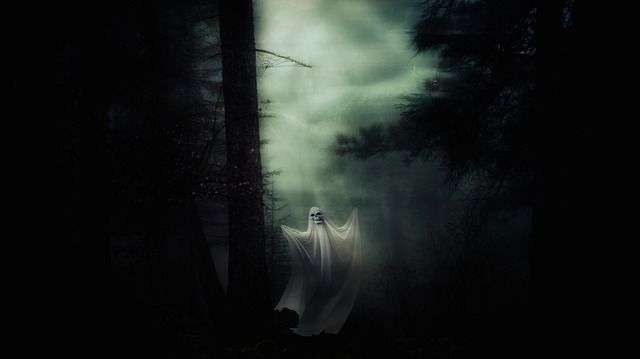 Do ghosts have to be supernatural? I'm not sure. I suppose one could argue that some trace of a human survives death and "lives" on as some sort of disembodied energy field that can be detected by various ghost hunting devices. He or she could then claim that none of this was supernatural because the ghost was right here in our natural world. I think this would be a fairly difficult argument to support. In fact, it seems like it might be even more difficult than a supernatural one. The supernatural claims have the advantage of not being testable; however, it seems that the ghosts as natural entities could easily be tested. I think ghosts are fun. Many of my favorite horror movies involve ghosts (usually of the supernatural variety). The possibility of ghosts raises a number of interesting questions and highlights our discomfort with death. None of this means that I believe in them. I can enjoy the topic even though I do not believe that ghosts are real. As for the various ghost hunting TV shows, I have watched enough of them to know that they don't do much for me. I don't think they are intended to be laugh-out-loud funny, and that is almost always my reaction. What do you think about the question posed in the title of the post? Do ghosts have to be supernatural? Is there an alternative way to think of them that doesn't require any supernatural claims but also doesn't render the concept of ghosts meaningless? And if so, can this be reconciled with our inability to detect them in any reliable way? Next up, we'll take a look at the question of whether ghosts require the Christian god.